In a startling Journal description of his spiritual transformation experiences, George Fox wrote that “all things were new, and all the creation gave unto me another smell than before, beyond what words can utter”. He explained that “[t]he creation was opened to me; and it was showed me how all things had their names given them according to their nature and virtue” and that “the admirable works of the creation, and the virtues thereof, may be known, through the openings of that divine Word of wisdom and power by which they were made”. He finishes by asserting the potential universality of this experience because “as people come into subjection to the Spirit of God, and grow up in the image and power of the Almighty, they may receive the Word of wisdom that opens all things, and come to know the hidden unity in the Eternal Being”. It is clear from these words that the creation and his relationship to it were crucial aspects of Fox’s spirituality. This appears to be equally true for a number of other early Friends. In this article I will attempt to use their own words to outline the radical understanding of the order of creation that characterised the Quaker movement during the 1650s and early 1660s. For the first Quakers, the biblical narrative of creation, fall and restoration was enacted experientially in their lives. What they believed to be unfolding cosmically was also taking place in microcosm within them. They had been created, they had fallen and Christ had come to restore them again into the paradise of God. This vision and understanding gave rise to three principal understandings. Firstly, that human reason alone is incapable of comprehending the divine wisdom and order of creation, since this can only be known by revelation through Christ. Secondly, that in their own wills humans are incapable of living in harmony with the wisdom and order of creation, since only Christ has the power required to bring people into such a state of being. Finally, that right relationship with and right use of the creation is only possible in the divinely order life established by Christ. So what do the writings of early Friends tell us about this new vision and understanding of the creation and the human place within it? As the global ecological crisis deepens, the early Quaker understanding of the order of creation presents itself to contemporary Quakers with ever-increasing relevance. Indeed, these early Quaker insights anticipate in a number of ways recent developments in Green theology and biblical scholarship. This will be considered in more detail in the next article. Note: I am grateful to Anne Adams and Geoff Morries for their pioneering work in this area. See Adams, Anne (2011) Is There Not A New Creation? 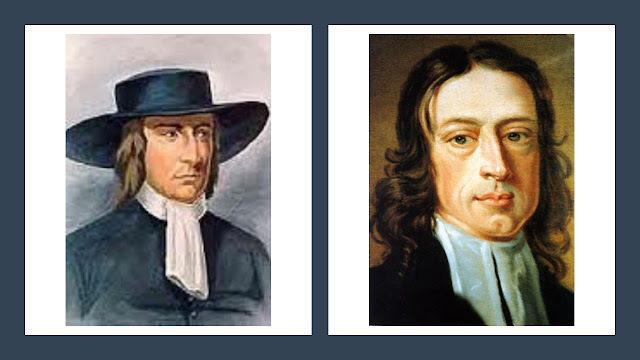 the experience of early Friends (Applegarth Publications) and Morries, Geoffrey (2009) From Revelation to Resource: the natural world in the thought and experience of Quakers in Britain and Ireland 1647-1830 (unpublished PhD thesis).